I am in love with the springtime. May especially, when the animals are emerging, and the migrating ones are returning, full of energy and life. I love the light rains, and the whole “April showers bring May flowers” phenomenon that comes with the territory in latitudes blessed with four seasons. I think it’s the smells that get me the most, and always carry me back in the far reaches of my memory. Perfumed lilacs bloom with voracity, and always mark the coming of my birthday, which sometimes also falls on Mother’s Day. Traditionally for my family, it’s a happy time. Three years ago that tradition changed. I got a phone call that would alter the course of my life. It was from my mother, who called to wish me a happy birthday, and to break the news that a company, at that time going by the name Sunoco Logistics, wanted to build a pipeline though a piece of land in southcentral Pennsylvania that I have always called home. I have never felt my stomach drop farther or faster than it did that day. I’ve also never sprung into action as quickly as I did to defend what I love. I started with phone calls, reaching out to people across the continent for advice, assistance, aid. I dove into social media, tracking down the folks who’d already been fighting, especially those in the shale fields of Pennsylvania. I moved home to live with my folks. My mom and I picked up the anti-fracking banner that has been carried by many, or few, depending on how you look at it. We dug in, set up camp, and with the help of good hearted people, we fought. For three years we fought – in the courts, in the community, on the frontlines, and in the never-ending arena of the world wide web. We’ve been harassed, threatened, arrested, thrown in jail, and dealt an enormous amount of legal fees. Some people turned their backs on us. But my mom always focuses on the positives – she always mentions “all the really nice people” we’ve met along the way, and there’s no denying that. It’s devastating sometimes how bad things can be, and overwhelming how good people can remain during the worst of times. I’ve learned the importance of not losing hope, and I’ve seen the beauty in refusing to surrender when all seems lost. So we keep fighting. This week, my mom, who is just your average retired working-class Pennsylvania grandma, will face off against one of the most powerful corporations on the planet. Sure they’re not the biggest, but comparatively, Energy Transfer Partners has some pretty deep pockets and some big guns. The setting, oddly enough, will be our rural small-town courthouse, the same place where my sister got married. The same building I’ve passed a thousand times with disregard, never thinking that it could house such sinister possibilities. My mom, a retired educator and nature lover, faces 6 months in jail with no right to a jury trial and “unlimited” fines which would be leveled against her hard-earned pension from the Commonwealth. Her alleged crime? 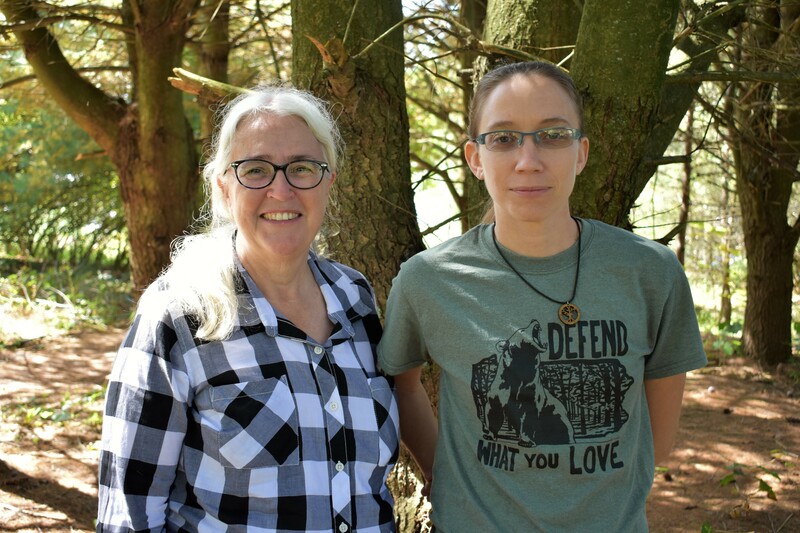 Caring about the environment and taking seriously a responsibility to uphold her duties as a steward of the ecosystem in which she lives – saying NO to a for-profit pipeline though her private property, though waterways and woodlands she has sworn to would protect. Environmental stewardship is not a crime, and my mother is not a criminal. She’s a Presbyterian and a pacifist, but you better believe we’ll keep fighting till there’s no fight left. We hope that you will stand with us, wherever you are. Take a stand, and keep standing. Never lose hope, never give up. Rise like the water, and defend what you love! Beautifully written on a terrible problem.